Around the beginning of the 1600's, explorers from Europe were sailing to America. There were often hostilities between the Indians and the newcomers, but when an adventurer named John Smith was captured by Pocahontas's tribe, she is said to have saved him heroically. After being injured in an explosion, John Smith left Virginia and returned to England for treatment. The people told Pocahontas he was dead, and she was so devastated that she stopped visiting the people in the English settlement. The Jamestown settlers and the Indians in the surrounding areas had many conflicts. The tension bubbled over into a small war in the late summer of 1609. During one of the many feuds between the Indian tribes and the English, Pocahontas was tricked and captured. 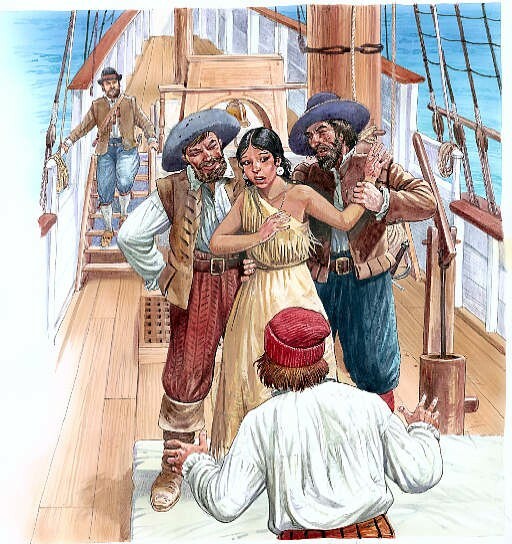 The Englishmen held her for ransom, claiming to want some of their own countrymen and weapons released. 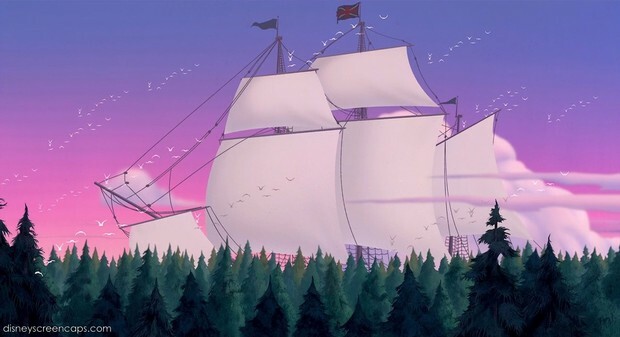 Pocahontas's father refused to meet the demands set by the settlers, and Pocahontas was kept in the Englishmen's care. 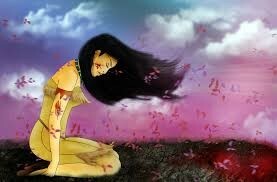 After being held captive for an entire year, Pocahontas confronted her father. She was upset that he refused to make the necessary trades to bring her home, and she decided to stay with the English permanently. 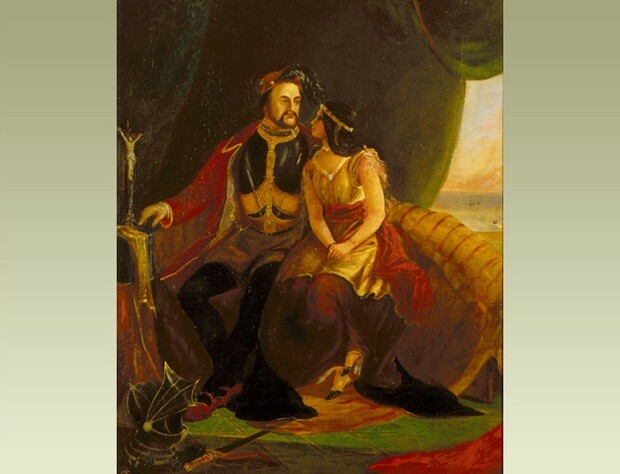 Pocahontas became married to an English planter named John Rolfe. John was a successful tobacco planter, and he cared very much for Pocahontas. 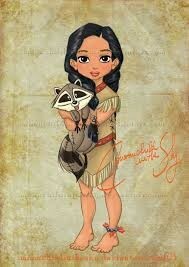 Pocahontas gave birth to a son on January 30, 1615. 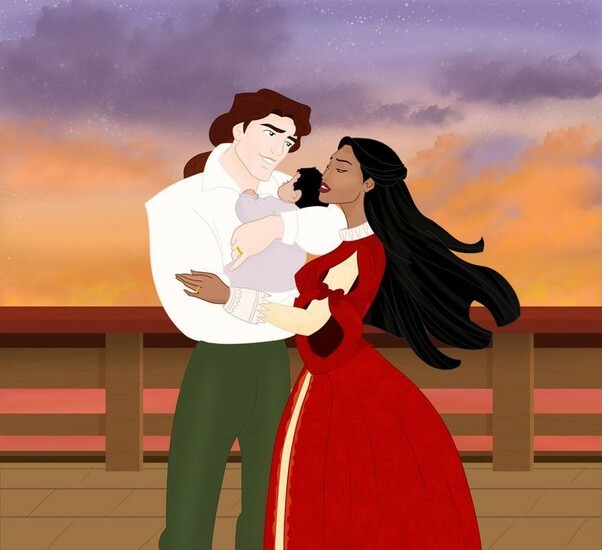 She and John Rolfe named their son Thomas Rolfe. 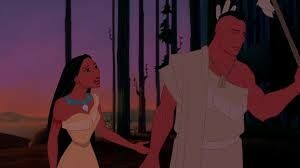 After Pocahontas's marriage to John Rolfe, the tensions with the other Indian tribes seemed to lessen. The marriage brought peace between the people, at least for a time. Pocahontas and her family travelled to England. The trip was taken to gain support and funding for the Jamestown settlement in Virginia. 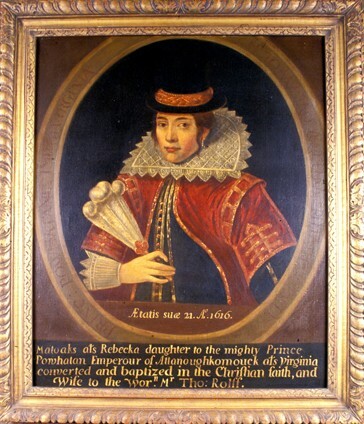 Pocahontas, John Rolfe, and their son, Thomas, lived in the Rolfe family home while in England. 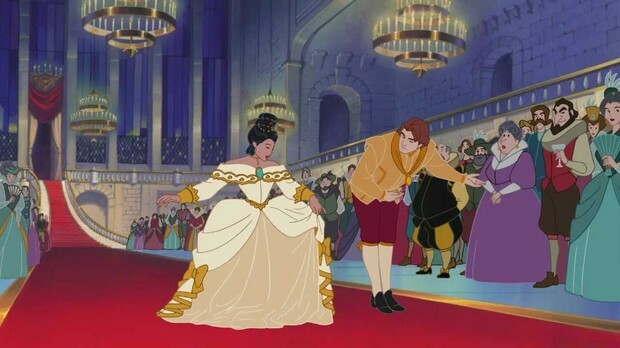 Pocahontas was entertained and even brought before King James. 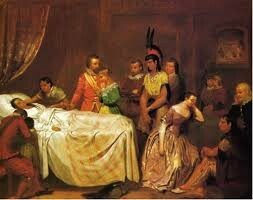 On the way back to Virginia, Pocahontas become very sick and eventually died. 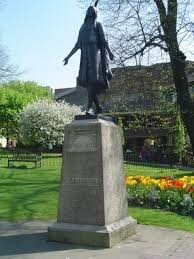 She was buried in England, probably near a church in Gravesend. After a fire destroyed the church at Gravesend, Pocahontas's exact burial site became lost. Today a statue at St. George's Church honors her memory.